It brings together a wide array of participants including international scholars, college faculty, high school teachers, students, and members of the general public for a week of study and socializing at the UCSC campus. 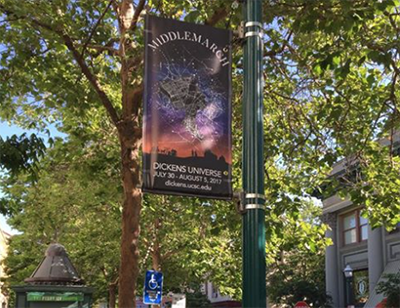 The Dickens Universe is the signature event of The Dickens Project, a scholarly consortium headquartered at UC Santa Cruz that consists of members from different universities across the United States and around the globe. It is internationally recognized as the premier center for Dickens studies in the world and is one of the leading sites for research on 19th-century British culture. New member institutions that recently joined include the University of Haifa (Israel), the University of Georgia, the University of Pennsylvania, and Southern Methodist University. Faculty and graduate students from these schools were in attendance this year at the Dickens Universe. The Dickens Universe always offers a week of total immersion in the world of Victorian fiction, usually focused on a novel by Charles Dickens. But this year marked the first time a work by Dickens was not featured. Instead, the spotlight was on Middlemarch by George Eliot. A pen name, George Eliot was actually Mary Anne Evans, who wrote under a male name so that bias against her gender would not diminish her standing as an author or influence the reception of her work. 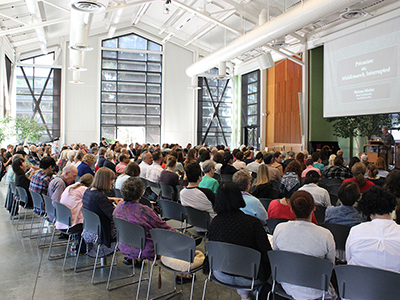 A special event in connection with Middlemarch this year was a staged reading of a play, "A Most Dangerous Woman" by playwright Cathy Templesman, based on the life of author George Eliot and performed by members of the Santa Cruz Shakespeare company. Another highlight was a presentation by students and teachers from the NAI (Neighborhood Academic Initiative) in Los Angeles, describing their remarkable experience of teaching and studying Middlemarch in a South LA high school. 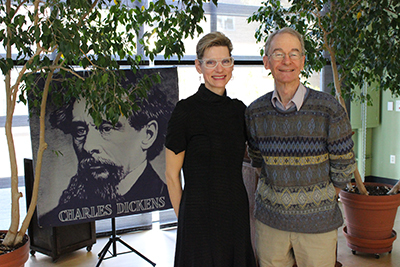 Jordan noted that The Dickens Project additionally has just been awarded a $124,000 grant from the National Endowment for the Humanities to host a four-week seminar for school teachers on campus next summer as part of its ongoing outreach program.